Back when Aaron Jones was 12, if he wasn’t on the football field, he was sitting at a sewing machine, helping his mother with the seamstress work she took on to make ends meet. It was then that Jones discovered the power of making and altering his own garments. 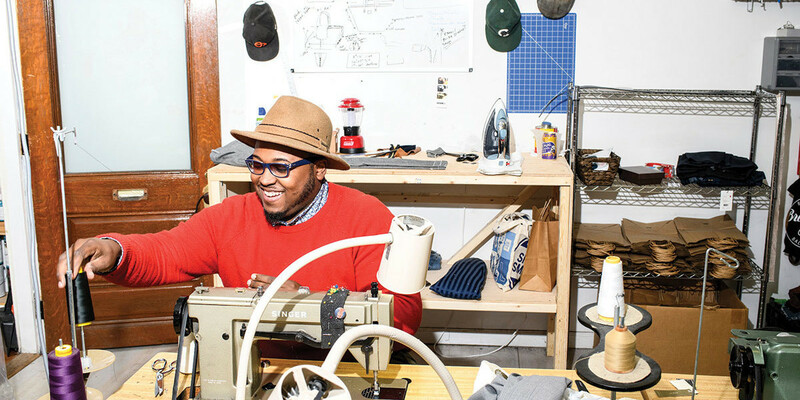 He attended the Savannah College of Art and Design and then began working as a tailor’s apprentice at Nordstrom in Towson, which was where he truly began to understand proper fit and how to tailor garments correctly. Jones stayed with Nordstrom until 2013, when he and his friend Jason Bass created the high-quality bag line Treason Toting Co. The accessories company was a hit, even catching the eye of Sagamore Ventures, who invested in the brand. However, Jones was still hearing from his old tailoring clients, who were looking for him to alter their clothing and suits.